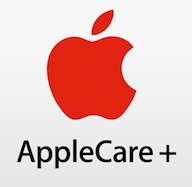 Please consider purchasing AppleCare for the Apple products that we provide to you for the workplace. It's important to protect the products in order to maintain uninterrupted communication and productivity at work. Each product comes with one year of hardware repair coverage through its limited warranty and up to 90 days of complimentary technical support. We strongly recommend you to purchase AppleCare within 60 days from the time you accept and sign Convo's loan agreement for your new product. Please remember that after 60 days, you cannot purchase an AppleCare plan to protect your workplace products. After the coverage expires, your products are no longer under a protected plan which means you will have to pay out-of-pocket to get the service it needs to get it in working condition again. "I'm interested! Where can I get AppleCare?" The AppleCare Protection Plan is available at the Apple Online Store or your nearest Apple Retail Store.